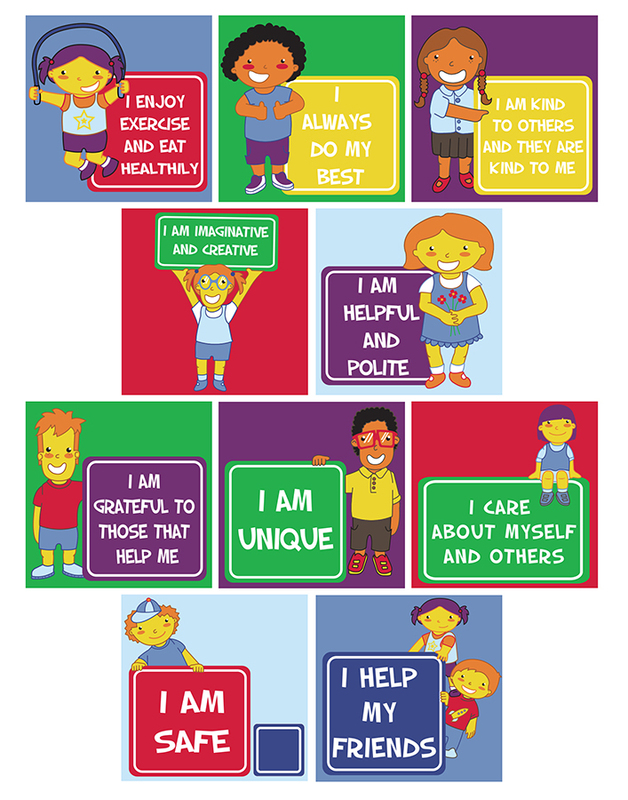 Our positive affirmation rugs are a set of 10 individual classrooms rugs. Each rug features a key positive phrase to help promote confidence, nurture self-esteem and encourage positive thinking. Designed for use in schools, pre-schools and nurseries, the colourful and fun classroom rugs provide an interactive solution to learning. The cut pile individual classroom rugs feature triple felt backing and double stitching. They also include a locked in anti-microbial feature for improved durability and cleanliness.